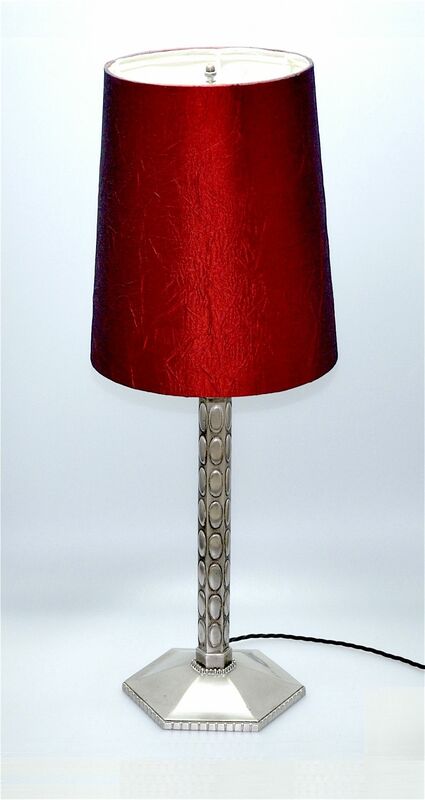 This is a very elegant and stylish table lamp. 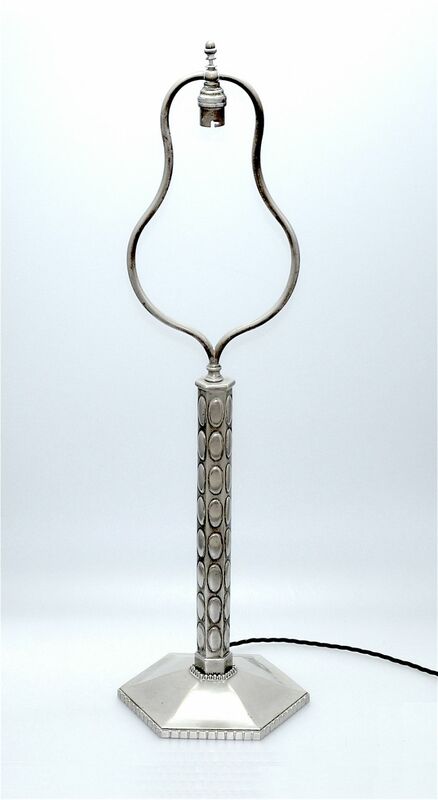 Made during the Art Deco period probably in France it is in nickel plated bronze. The hexagonal base leads to a hexagon central column decorated with a series of raised oval plaques. The lamp has a shaped lampshade frame on which the lampshade sits with a bulb holder that points down providing a downlight.